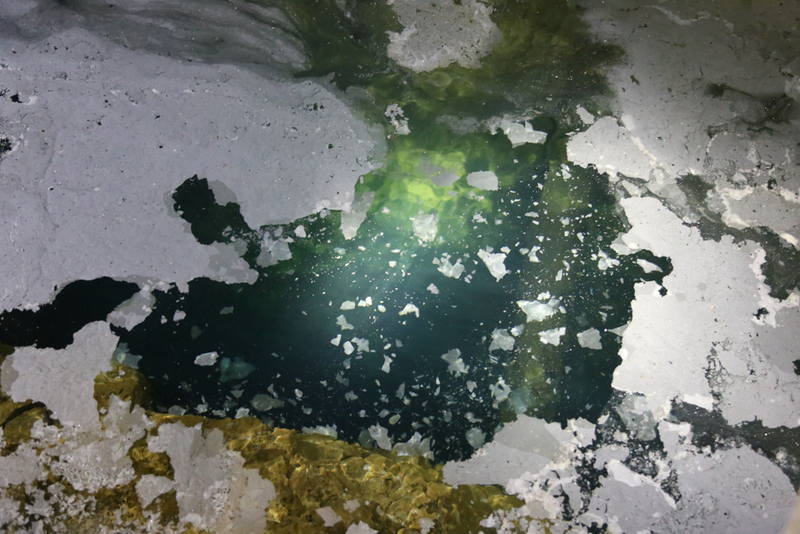 The UNEXMIN project (Underwater Explorer for Flooded Mines) started February 2016. It is an EU-funded project, from the Horizon 2020 research and innovation programme. 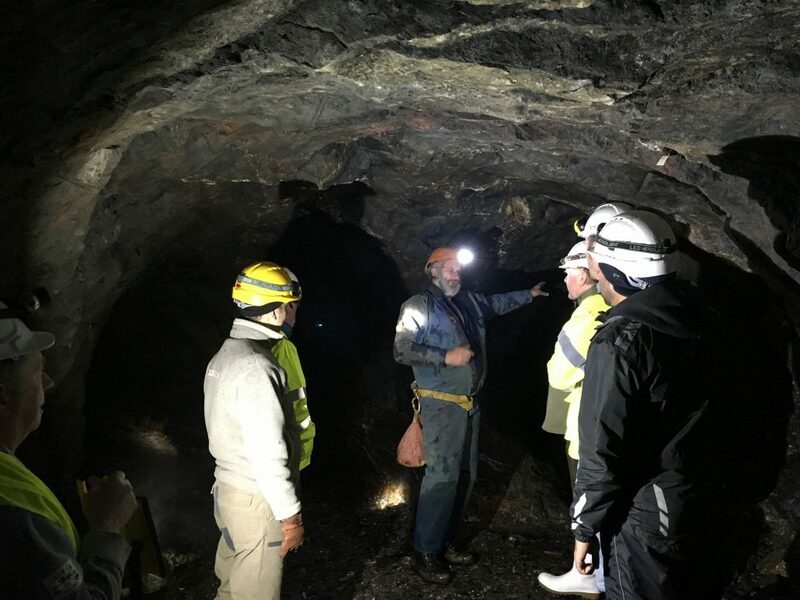 Luís Lopes, from the La Palma Research Centre, interviews project coordinator Norbert Zajzon to discuss the past, present and future for UNEXMIN. Luís Lopes, LPRC: First things first – what is UNEXMIN? Norbert Zajzon: UNEXMIN is the abbreviation of the “Underwater Explorer for Flooded Mines” H2020 project, based on the topic “New sustainable exploration technologies and geomodels”. LL: Where did the idea for UNEXMIN come from? It seems to be a crazy one. NZ: It is a quite ambitious idea! Basically, it is to support the raw materials’ needs of the EU, to gather valuable information from flooded mines without risking human lives, but it also can be used in different fields like archaeology, rescue or water pipeline monitoring and so on. If I am correct, the first basic idea did come from Balázs Bodó (LPRC) a few years ago, which was further evolved and matured for the final submission of the project. In the beginning, the idea seemed to be taken from a sci-fi movie! UNEXMIN team learning about the geology in Ecton Mine. LL: The main point of this project is to develop a multi-robotic system that can autonomously map flooded mines. How difficult is it to achieve this? NZ: It is a very difficult task. Developing a non-contact robot, which is fully autonomous, in a very complex setting with lots of obstacles and mapping the environment and simultaneously gathering geochemical and mineralogical information underwater is very hard. I feel it would be easier to perform the same task on the surface of the Moon or a planet like Mars. LL: How important is it to map the flooded mines in Europe? NZ: In Europe that are about 30.000 closed mine sites, many of which are now flooded. It is very important to map and know what is in our abandoned mines under the surface, mainly from the raw materials’ point of view, but also to document and safeguard cultural heritage or as a hazard study for buildings on the surface in the case of mine collapse. LL: UNEXMIN has a total of 13 partners within its consortium. What areas of expertise are present in this project? NZ: This is a truly multidisciplinary consortium with experts in geology-geochemistry, mineral exploration, oceanic research, mine engineering, mechanical engineering, automatization, robotic development, autonomous system control, 3D geological software development and visualization, experts in dissemination and networking, experts in founding and running enterprises. And even with this extensive list I feel I might have missed some important areas present in our consortium. LL: What are the big challenges that the UNEXMIN consortium is facing/is going to face during the robotic platform development? Energy consumption of the robot, as it will have to run on batteries and cannot use any outside energy sources. The small size of the robot, as it will have to fit into medieval mine tunnels, which can be very small, and still carry all the necessary instrumentation. Survive the pressure and the – sometimes – very aggressive mine waters and still perform the geological and mineralogical measurements in that environment. LL: What impacts can be expected from UNEXMIN? Pushing the EU to the forefront in sustainable minerals surveying and exploration technologies. 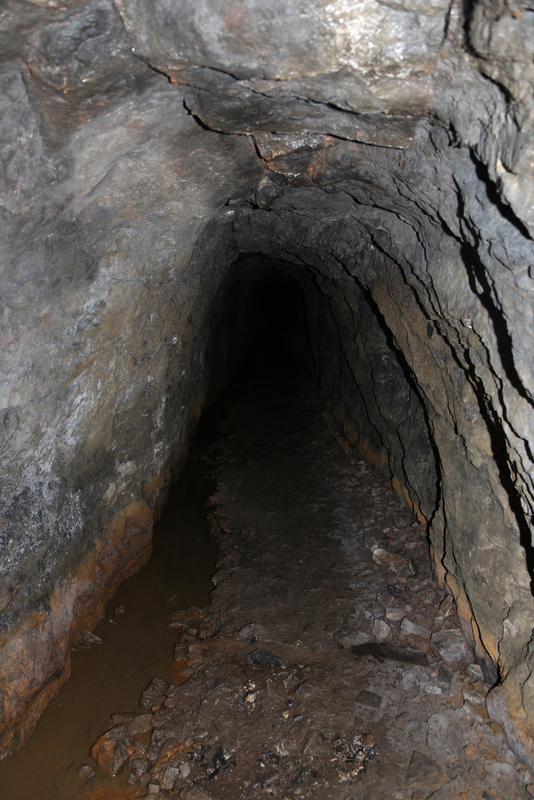 Increase Europe’s capacity to evaluate its abandoned mines for their mineral potential. Help to document and safeguard Europe’s unique mining heritage. Besides the main scope of the above impacts, UNEXMIN could also lead to the deploy of robotics technologies in new application domains, acquiring valuable geological information and allow technology transfer between robotic solutions and mineral industries, that will lead to further innovation in those areas. LL: What are the next steps to be taken for the project development? NZ: The next important steps are to further develop, simulate and test different conceptual models of the robot to be able to carefully choose the basic robot design, and also specify what kind of scientific instruments can be incorporated and with what kinds of performance constraints. LL: Who are the interested parties in this project? And who can benefit from the service that is going to be available in the future? NZ: There are a lot of interested parties, the so-called stakeholders, in this project. Overall, I can say that all individuals from the geology, minerals exploration and mining sector, the ICT/robotics community and even the general public interested in the thematics of this project are our main targets. I believe that the technology developed in UNEXMIN will benefit a whole range of future consumers: geology-related companies (mining, geological surveys or geoheritage sites), national authorities, universities and other companies in areas such as environment or industrial diving and even for tourist sites (e.g. caving). LL: You were present in Brussels in an international event about raw materials. How did it go? NZ: It went very well, actually! Many people were interested in our project not only from Europe but also from overseas, like Canada or Mexico. 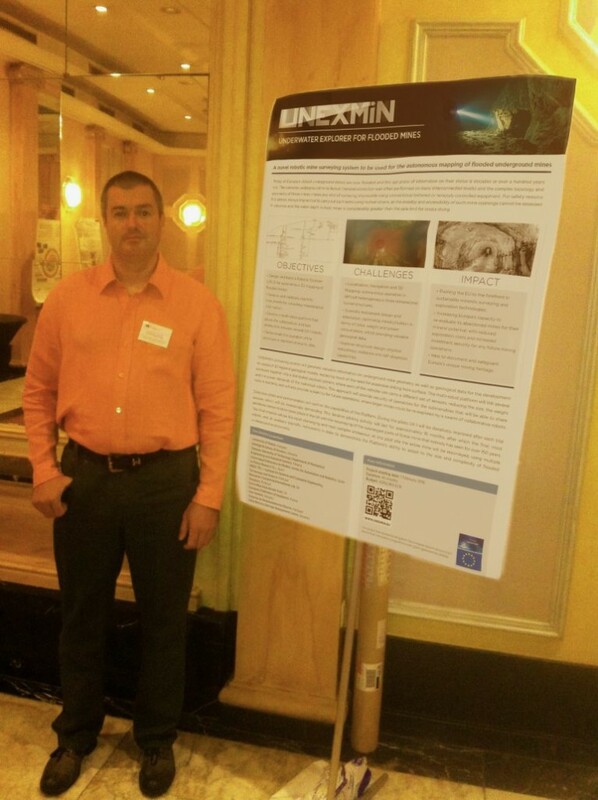 And UNEXMIN was invited to participate in further discussions and conferences in similar fields of research in the next year. We are starting to make a name for ourselves. LL: When should we expect to see the first looks of UX-1? NZ: The basic concept and the main conceptual sub-system plans should be ready in the beginning of 2017, so the first reliable look of UX-1 can be seen on next spring. LL: And will it be a good looking robot or an ugly scrap of metal and other things? NZ: The most important point of the design is functionality and survivability. As it has to move underwater in an environment with a lot of obstacles like ropes and spikes the basic shape is already decided, which is spherical with as a smooth surface as possible. Of course, it has to carry enormous amounts of light sources, lasers, cameras, different sensors and many thrusters on its surface, so the final look will be very interesting. The recent conceptual drawings are very exciting, so I think it will be a good looking robot, moreover, when it will run with all the different lights and lasers on for its sensors – the look will be astonishing! LL: Final question: Is it difficult to be the project coordinator of such a big EU project? NZ: Yes, it is a difficult and tiring job, but at the same time it is a very good and joyful experience to be in the centre of a very interesting technology development with a great variety of scientist experts in different fields from different parts of Europe, from Finland to Portugal thru Spain, England, Slovenia and Hungary.